Astana's Ion Izagirre crossed the iconic finish line in Nice in the first position and by himself in the last stage of Paris-Nice. The Spaniard attacked in the last climb of the day, leaving all the competition behind. 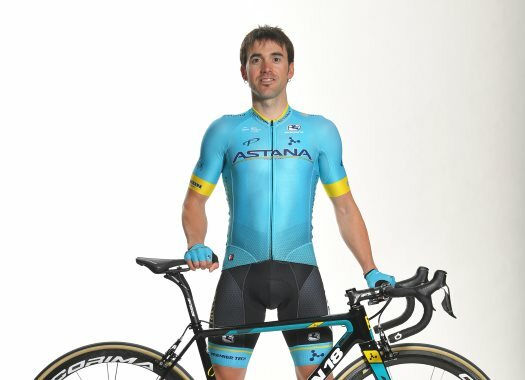 Izagirre managed to cross the finish line at 18 seconds from the chasers, taking another victory for the impressive season Astana has been having. "It was hard to finally raise the arms but what a nice day in Nice today," Izagirre commented at the finish line. "It was a spectacular stage. This time I couldn't be in contention for the GC but I managed to win a stage. With Luis Leon Sanchez, we decided to go in the breakaway and then we saw some guys coming back from behind like Quintana and then Miguel Angel Lopez told us he was tired. "So in the last climb, I decided to go and give it my all. And it worked. It's amazing the number of stages we have been winning with Astana. Lutsenko won in Tirreno yesterday and me today. It's exceptional." This is the first stage victory for the rider in the 2019 season. He already took the overall victory in February at the Volta a la Comunitat Valenciana.